General Cuesta’s army was retreating in the face of Victor’s advance after being forced out of its defensive positions on the Tagus River. 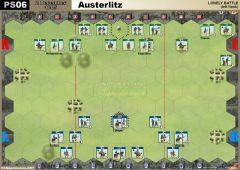 On the 27th of March, Cuesta’s army was reinforced by the Duke of Albuquerque, and Cuesta decided it was time to fight. Cuesta’s plan was to strike both French wings and hope to catch the French army with their backs to the Guadiana River. 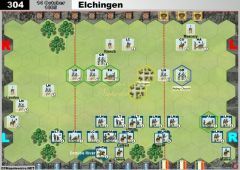 Victor was outnumbered, but had veteran troops who knew how to win, so he willingly deployed for battle. 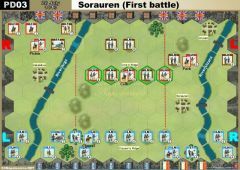 Victor’s plan was to keep withdrawing his flanks closer and closer to the center until a powerful counter-attack could shatter the Spanish line. 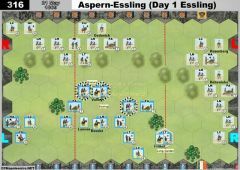 Cuesta formed his infantry into one long, thin unbroken line since his greatest fear was that French cavalry could destroy his infantry if there were gaps in the line. At first, Cuesta’s plan seemed to be working. 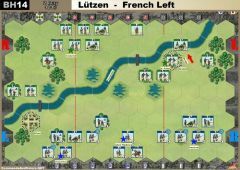 Lasalle’s position on the French left was at risk, but his men held on to their tenuous positions. Spanish infantry formations were also pushing forward against the French batteries on Latour-Maubourg’s hill position. Latour-Maubourg flung his cavalry into a counter attack, but the cavalry was forced into a disorganized retreat. 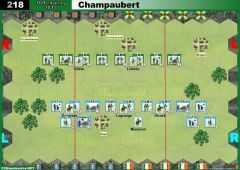 As the Spanish infantry threatened to capture the French guns, Latour-Maubourg ordered his reformed cavalry to attack again – this time against the Spanish cavalry covering the end of the infantry line. Events now unfolded quickly. 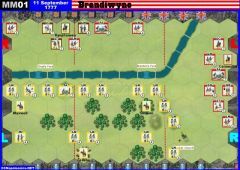 The French cavalry charge succeeded and the Spanish cavalry fled the field, exposing the thin Spanish line to a devastating flank attack. Cuesta’s left flank dissolved in panic. 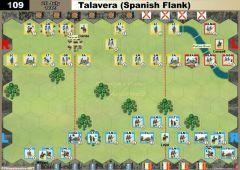 Lasalle and Villatte, seeing the opportunity, ordered a counter-attack that caught the right flank of the Spanish army between infantry to their front and cavalry to their flanks and rear. The result was a massacre. Entire battalions were destroyed as they tried to stand and fight, and the French cavalry showed no quarter in their pursuit of fugitives. Over 7,500 Spaniards became casualties. In the aftermath, Cuesta’s shattered army retreated to Monasterio. • The Spanish player’s hand size is reduced by one Command card for each banner lost. The cards lost are selected at random by the French player when each banner is lost. The Spanish player’s hand size, once it reaches three cards, will not be reduced further. 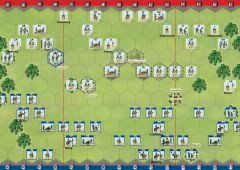 • The Spanish player may only form square with a maximum of two units during the battle. • Spanish Guerrilla Action Rule is in effect. 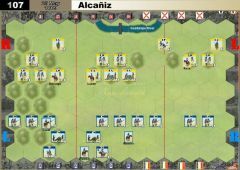 The Spanish player starts with one Guerrilla counter. • The Guadiana and Hortiga Rivers are impassable except at the bridge. I'm taking this to mean at a time, rather than a total for the game! What isn't clear to me is whether Hasty Square should count against this limit. Literally, it is included and has been played this way. A personal favorite. Good scenario as it poses unique problems for both sides. With the right 2 starting cards the Spanish player can make this a desperate contest. French player can extricate his left flank more easily then perceived. 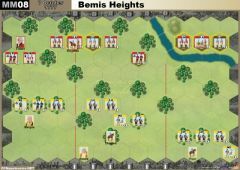 3 or 4 units have 2 movement allowance. 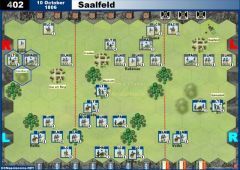 Similar experience, Spanish won both games, and Game 2 won 6:2 by crushing French Left. Spanish won even with only Guerrilla Action being sabred. I don't think the Spanish need Guerrillas in this one. Just finished my both Ladder-Tournament games against Greg. escape on my left flank, so i could save my HA, LDR and CAV. If he forced to attack there, i should loose there at least my HA and LDR also. After this, i could decrease his cards because of kills.